It does seem as though someone, somewhere always has a different if not necessarily better idea. I found 22 different U.S. 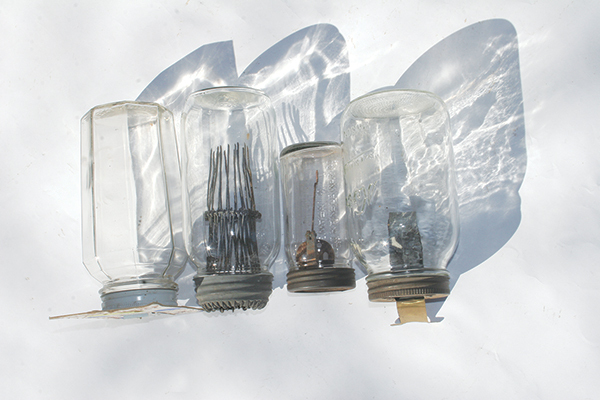 Patents for mousetraps built on common fruit canning jars. Most of the patents were granted for a unique trigger mechanism, and as you might imagine, some work better than others. Another approach was to put multiple wires on a jar lid ring, all funneling inward like a minnow trap opening. A mouse could easily squeeze in for a bait but then not be able to back out. One called the Old Tom is painfully effective. Trust me, you don’t want to stick your finger in to test that one. This “old Tom” couldn’t resist. Ouch! I feel there could be earlier patents for fruit jar traps, but the earliest I found was dated June 8, 1909. It was awarded to Otto Kamphe of New York City. 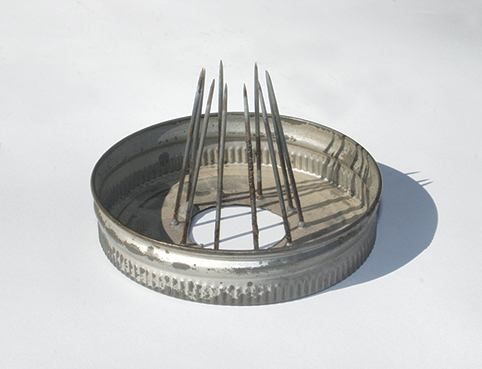 The Kamphe trap used a special molded glass jar with a flat bottom. Otto Kampfe Mfg., Co., Newark, N.J. is embossed on one side. In 1912, Kamphe patented a second model called the U-Neek, which was also built in a rat size. A fruit jar mousetrap with a platform that extends out the front was patented April 21, 1931 by John Schiltz of Los Angeles. Patents for fruit jar traps continue at least through 1976, when Landon La Rue of Mecca, California, was granted a patent for his Mousie Buffet. 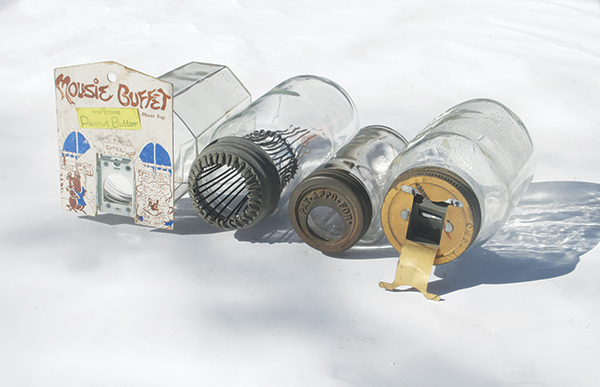 Collector value for fruit jar mouse traps (also known as Mason Jar traps), runs from $10 up to $100 or more for an intriguing rarity. My collection includes 15 different models, including five that were granted U.S. patents. So I guess Emerson knew what he was talking about.